About three years ago, I began to crave a hobby that would satisfy my curiosity about nature but not involve frontline scientific research (my day job). That hobby turned out to be astrophotography, an activity that is both fascinating and challenging regardless of how advanced you become. After months of comparing different telescopes online, I finally settled on a medium-sized (120mm) refractor (containing a lens at the front), it being simple to use, tough and versatile. I quickly realised that there are many ‘amateur’ astronomers out there who are willing to spend thousands of pounds on equipment, often having multiple telescopes. I however, decided to perfect the use of a modest telescope with the hope of producing pictures that would only be expected from far more expensive kit. After setting up my telescope and taking a whole array of different pictures, I found my interest moving towards deep sky objects (DSO). These are celestial objects outside our solar system such as galaxies and star clusters. They are normally very dim (often invisible to the naked eye) but, unlike planets, their apparent size (the size they appear from Earth) is typically large. By adding motors to my telescope, I can track these objects as they move across the sky. This allows me to take long-exposure photographs (10 minutes or more) revealing dim structure and colour which is not visible through the eyepiece during normal viewing. However, I soon realised that my telescope had only limited accuracy when tracking DSOs. This caused DSOs to drift across the camera over several minutes, leaving ugly streaks of light on my pictures. So, my next upgrade was to add a guider; a device that monitors the movement of stars across the camera and sends a correcting signal to the telescope motors if alignment strays. This upgrade means that I can now get clean pictures that show DSOs in great detail – although the guider still needs a bit more work to avoid over-correction. 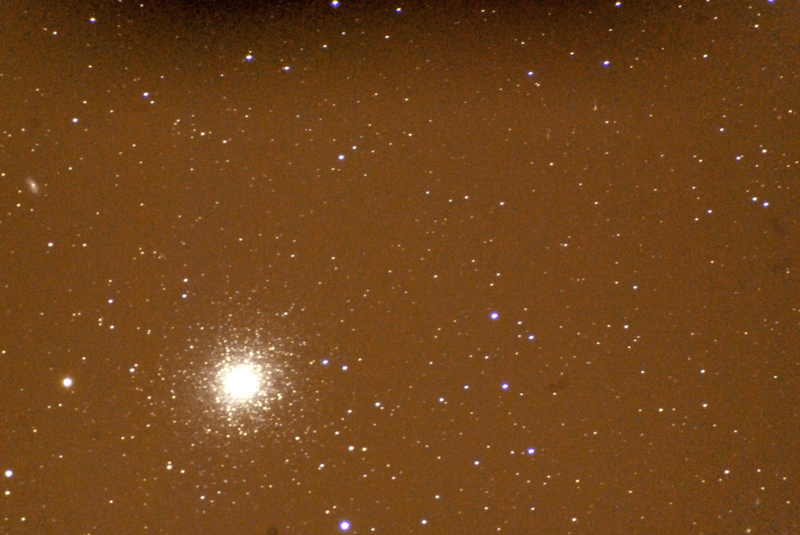 The pictures below show the culmination of years of small upgrades to my modest telescope. The first shows the Whirlpool galaxy (M51) while the second shows the great globular cluster in Hercules (M13), if you look carefully you may even spot some smaller galaxies lurking amongst the stars (these can be seen as small grey ‘smudges’). 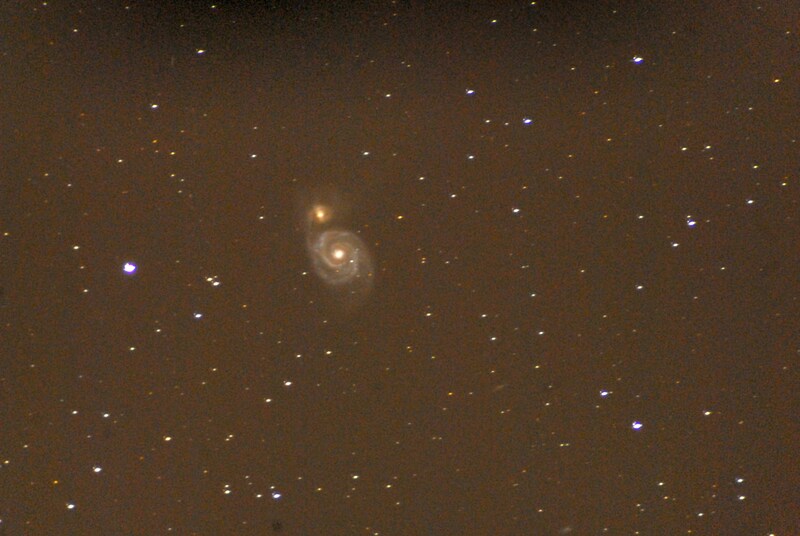 Whirlpool galaxy (M51) – a galaxy in the process of colliding with a smaller galaxy. The great globular cluster in Hercules (M13), a cluster of stars attracted together by their combined gravity. Post by: Dr. Daniel Elijah.